Dr. Roden was born in born April 19, 1965 in Midland, Texas, the son of Midland oilman William (Bill) Roden and Carolyn Jones Roden. He graduated from Midland High School in 1983. He completed an Associate’s degree in paramedic technology at Austin Community College in 1985, followed by a Bachelor of Arts in kinesiology and exercise physiology from The University of Texas, and a Master of Science in genetics from The University of Texas-Permian Basin in 1990. He received his M.D. 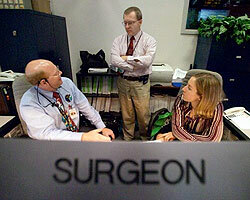 in 1994 from the University of Texas Medical Branch in Galveston, Texas, and completed his residency in emergency medicine at Scott and White Hospital in Temple, Texas, where he was chief resident from 1996-1997. In 2002, he obtained his Master of Public Health and completed an aerospace medicine fellowship at The University of Texas Medical Branch (UTMB), Galveston. In 1994, he completed an externship with the “Royal Flying Doctor Service” and “The Australian Rural Health Service” in Yuendumu Aboriginal Nation, Northern Territory, Alice Springs. After his residency, he returned to Midland, Texas, and practiced emergency medicine at Midland Memorial Hospital. In 1997, he became an FAA medical examiner practicing from his family ranch in West Texas. He married Sonya Crump on June 20, 1998. While serving as a NASA flight surgeon, he was a clinical assistant professor in Preventive Medicine and Community Health at University of Texas Medical Branch. He was also a preceptor at Texas A&M Health Science Center from 2006 to 2007 and then as an assistant professor in 2008-2010. He is on the Advisory Council for the University of Texas Permian Basin. From October 2012 to February 2013, Roden served as Medical Officer/expeditionary physician for National Science Foundation South Pole Station supporting station personnel and summer expeditionary away teams in the Trans Antarctic range, and was medical support during the race around the world and South Pole marathon events. As of 2013, Roden works for Emergency Service Partners, L.P. in College Station, Texas. Roden was selected to the UTMB aerospace medicine residency in conjunction with NASA in 2000. During his time he spent three years at the Yuri Gagarin Cosmonaut Training Center in Star City, Russia. He was selected as deputy crew surgeon for Expedition 7. 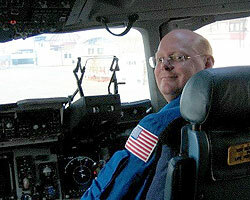 At NASA, Roden served as a back up crew member to Josef Schmid, for the NASA-NOAA NEEMO 12 (NASA Extreme Environment Mission Operations) mission on May 2007. NEEMO 12 was the first time for NASA flight surgeons to be included on a NEEMO mission. 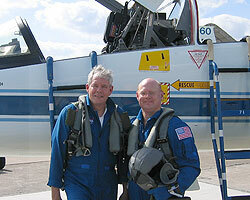 In August 2007, he also served as backup crew member to NASA astronaut Rick Arnold on the 13th NEEMO undersea mission. 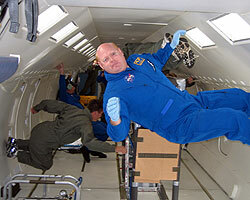 Roden acted as deputy surgeon for the STS 120 Discovery shuttle mission and crew surgeon for ISS 10 A stage mission. Roden has been interviewed by Miles O’Brien on CNN’s “American Morning” Melissa Block on National Public Radio’s “All Things Considered,” and The New York Times. 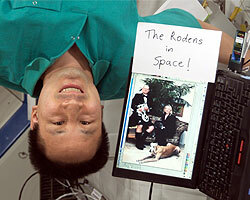 Roden left NASA in May 2008 for private practice in Bryan, Texas. In 2013, he returned to UTMB in his previous role as expeditionary flight surgeon supporting the International Space Station and NASA crew members. Graduated from Midland High School in 1983; received associates degree in paramedic technology from Austin Community College Austin, Texas; received bachelor of arts in kinesiology and exercise physiology from The University of Texas at Austin – Austin, Texas; received master of science in genetics from The University of Texas Permian Basin – Odessa, Texas; received his doctor of medicine from The University of Texas Medical Branch – Galveston, Texas. After graduating postdoctoral training from Scott & White, he returned to Midland, Texas and practiced emergency medicine. He also practiced in rural West Texas along the border, Central Texas, and the Big Bend region. He developed the Texas Flying Doctors and was an F.A.A. aviation medical examiner practicing from his clinic on the family ranch. He supported the ranching community that utilized aircraft for operations. During this time he also supported the Commemorative Air Force as medical director in 1999. 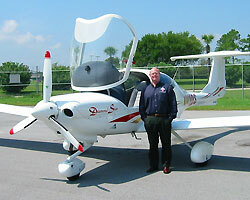 Aviation experience: 3rd class airman medical certificate and Class III Air Force medical certificate, Private pilots license (single engine land) complex aircraft endorsement, unusual attitudes endorsement, T-38 configured centrifuge profile to 7.5 G, parachute training, ejection seat training: Air Force, Navy and NASA. He has logged 350 hours in over 15 aircraft. Dive experience: Basic, Advanced Open Water, and Aquanaut (Underwater Habitat) PADI Certification, PADI Rescue Diver, Nitrox-NAUI, Semi-Closed Rebreather-TDI, Advanced Open Water PADI Certification. NBL Nitrox certified. Hyperbaric Introduction Course PADI, Chamber dives 10 hours Max Depth 165 fsw. Recognition and Treatment of Diving Casualties NDSTC/USN. Hyperbaric Medical Officer/USN. He has logged 250 dives. Selected to the NASA/UTMB aerospace medicine fellowship in 2000. He completed his masters of public health and was deployed to Yuri Gagarin Cosmonaut Training Center in Star City, Russia to support crew training operations. He was selected as deputy crew surgeon for Expedition 7 in 2002. He supported Expedition 8 landing operations as the NASA/DOD liaison flight surgeon in Kustani, Kazakhstan 2003. He was the lead flight surgeon for Expedition 10 and selected as lead flight surgeon for ISS medical operations in 2004. NASA training includes; International Space Station Primary Flight Surgeon course, United Space Alliance Flight Training Academy Parts I, II, III, and IV, Space Shuttle Crash Investigation, Air Force Aerospace Medicine Primary Flight Surgeon, Navy Hyperbaric Medical Officer, Space Operations Medical Training Course, Air Force Critical Care Air Transport Team. In December of 2006 he left the ISS lead position to begin training for STS support missions including: Ascent and Entry Surgeon for STS-118, Deputy Crew Surgeon for STS 120, Crew Surgeon for STS 10 A stage. He was the deputy flight surgeon for AOD, training and was a medical officer in the C-9 Reduced gravity flight program. During that time, he also actively supported his crews by scuba diving in the Neutral Buoyancy Laboratory. He was selected to both NEEMO XII and XIII missions as back up crewmember. NEEMO( NASA Extreme Environment Operations) is a NASA mission that sends groups of astronauts, engineers and scientists to live in Aquarius, the world’s only undersea research station, for up to three weeks at a time. In May of 2008 he left NASA for private practice in Bryan / College Station. In 2011 he moved to Medford Oregon to be a private practice AME and Family Practice physician. He was selected to be the Polar expeditionary physician for the South Pole Admunsen Scott station in 2012. He returned to Houston, Texas and NASA as in his former position as an expeditionary flight surgeon with UTMB and Wyle Surgeon supporting space flight operations and training at both Johnson Space Center and the Yuri Gagarin Cosmonaut Training Centre in Star City, Russia. He was selected as Deputy crew surgeon to Expedition 41/42 supporting ISS commander Barry “Butch” Wilmore” along with his crew including Samantha Cristoforetti the first female Italian astronaut and Elena Serova the first female Russian cosmonaut in nearly two decades. He supported Launch EVAS daily suppor , landing and rehabilitation for this mission. He was selected in 2014 as a NASA federal flight surgeon and medical director for the JSC medical clinics.